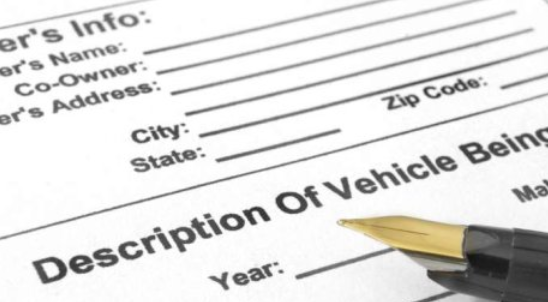 When you buy a car from a private seller in Kentucky, you must get the required documentation from the seller in order to register and title the vehicle with the Kentucky Transportation Cabinet (KTC). Continue reading this article to get more information about the paperwork required when buying a car in Kentucky. You can either purchase a car from a private seller or from a dealership. Regardless of where you purchase it from, you must obtain the vehicle title and transfer it to your name. To do so, you and the seller must fill the information on the back of the title and submit it to the Kentucky Transportation Cabinet (KTC). Be wary of vehicles without a title. If it is missing or lost, ask the seller to apply for a duplicate title before paying any money to them. A bill of sale is not required when registering or titling the car in your name. This document is however needed. It is an important document that shows your name, the seller’s name, the vehicle purchase price and other vital information. You can use this form to show proof of ownership if questions arises challenging the legality of vehicle ownership. Form TC 96-182 (Application for Kentucky Certificate of Title or Registration). Proof of insurance for the vehicle. The title completed on the back or Form TC 96-182. The current vehicle registration papers. Valid photo ID (national ID or Kentucky driver’s license). Payment for the title transfer fees. Payment for 6% usage tax, which vary depending on vehicle retail value and purchase price. Damage from accidents, floods, or other events. Using a vehicle history report, you can confirm what the seller is saying about their vehicle. Online via a contact form. NOTE: There is a Kentucky lemon law, but this law does not cover used vehicles.